After the good run in Mobile segment, LG Mobile is ready to try its luck in Tablet Market and its biggest competitor is iPad and Nexus 7. LG announced the LG G Pad 8.3 Android Tablet, the tablet boast 8.3-inch Full HD display with 1920 x 1200 resolution, 1.7 GHz Quad-Core Qualcomm Snapdragon 600 processor, 16GB Internal Memory and 2GB of RAM. LG improve the connectivity between multiple devices by releasing its unique QPair app. Every call and message you received on a Smartphone will appear on the G Pad. QPair app also allows the G Pad to connect with other manufacturers Smartphone and tablets (Jelly Bean). This is a great addition in a tablet which improve the productivity to the next level, you can even share pictures, notes from either device. Slide Aside: This feature allows you to send currently open apps off to the side using three finger swipe. QSlide: It controls up to three different apps on the window. KnockON: This will turn the device on and off by tapping the display twice. 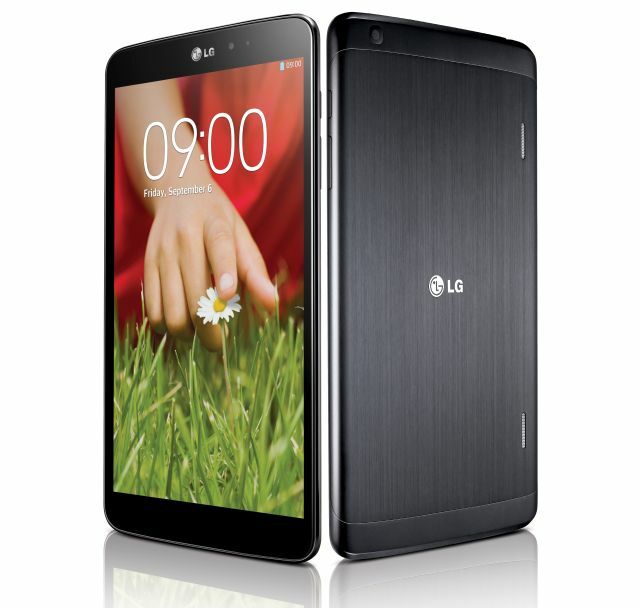 The LG G Pad 8.3 will roll out globally in North America, Europe, Asia and other regions starting in the fourth quarter of 2013.